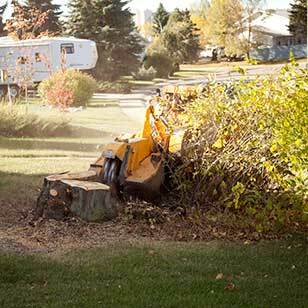 Testimonials » Got Stump - Tree Services in the Edmonton, St. Albert, Sherwood Park, Beaumont, Devon, Leduc, Spruce Grove, and Stony Plain area. "The service was excellent, and I will HIGHLY recommend you guys." "Thank you so much for the great customer service and the great job." a few people about your company." "I wanted to thank you for your prompt, professional service today. I am so pleased to have both stumps gone, especially after waiting almost a month for another company that left behind suckers on one stump and couldn't access the second stump with their tank-style grinder. You did the job without damaging our landscaping and sprinkler system, and then thoroughly cleaned up by raking and blowing the debris off our lawn and deck. I really appreciate that. Your price was competitive and I will certainly recommend you to friends and family. Thanks again." "Let me also say how impressed with were with the two women, Nancy and Julia (I believe), who came to remove our tree. We found them to be extremely competent and professional and based on our experience with them, we will recommend your company to anyone we know who needs your services." "So everything to do with Got Stump was amazing and great! We had lots of people in the neighborhood asking for contact info for your company." "I would like to say that we are very pleased with the job you guys did. Thanks so much." "My experience was flawless! Within the same hour that I submitted my request online I had someone who communicated with me. They let me know exactly what was going to happen and how. The communication with this guys was outstanding and their service went beyond my expectations. Rare these days that you can fin such a service! Without a doubt I would recommend you to do business with this company, an example to follow for all the others." "I can not believe how fast and efficient Got Stump was. Brad was very friendly and I was impressed with the quality of service and the price. I highly recommend them!" "Thanks Brad and crew for the great job of my tree removal. We had a tall green ash tree shedding seeds and leaves plugging the eavestrough on our two story house. They did a great job, strategically taking down this tree preventing damage to the house, and the deck below. Branches went straight to the chipper as they came down. Everything neat and tidy when they left. Good job. Thank you." "Great from the first call to request an estimate from the owner, to the pruning and clean up of the elm tree by 3 professional and courteous employees. Easy to deal with. Home owner worry at ease, they carry WCB and liability insurance! Would definitely recommend them and call them up for future jobs." 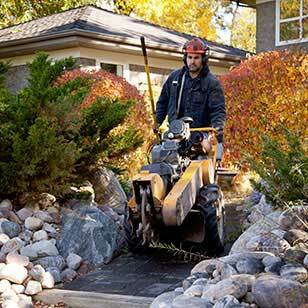 "We have used Got Stump Inc., on numerous projects. Brad and his employees have always been on time, they are fast and very efficient, do a great job, and have always been able to accommodate any thing we need. We will continue to call Brad and his crew for anything that we need in the future. I highly recommend you give them a call." "The equipment used is top notch and the ensurance of a satisfied customer is also first on this companies list. The owner is personable and there to ensure that we were satisfied with their service. We were more than satisfied." "Contacted Got Stump to finish off the remains of the forest I had chopped out of my back yard last year. They were prompt, professional, and knew what they were doing. Did the job fast and left the yard in a neat state." "With just over a week before the new owners of our house were to take possession, a large branch on a tree in our back yard broke in a thunder storm. The branch was still attached being supported by the lower branches. You could see a crack running down the trunk. 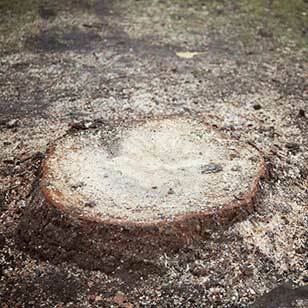 Having used and been happy with Got Stump in the past we sent them an email to see if they could help us. Brad replied to our email even though it was a Sunday and they were closed. Brad went out early Monday to look over the tree and recommended that the tree should come down. We agreed. The tree was between our house and the garage next to a large deck with glass railings. A crew was out the next day and took down the tree WITHOUT INCIDENT. The arbourist showed me where the tree had been, at one time, struck by lightning and over time weakened the tree, causing the branch to break and the crack down the trunk during the storm. A couple of days later Brad came and removed the stump. 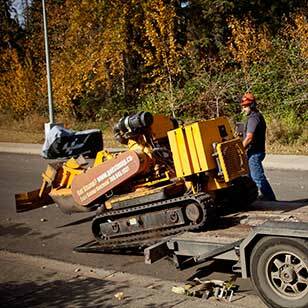 A big thank-you to Got Stump for helping us out in a crucial time of need." "What an EXCEPTIONAL experience. Called Tuesday, the stump was removed Wednesday. Brad the owner has fantastic customer service skills. Claudette in the office was also great to deal with. Got Stump exceeded my very high expectations. 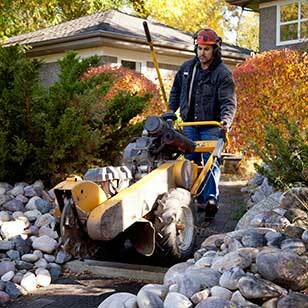 If you need a stump removed make sure that you call no other company. I will be recommending Got Stump to all my friends. Thanks for a job well done, so greatly appreciated." "Outstanding, outstanding, outstanding! Hector climbed our tree and had it down faster than any bucket truck! Couldn't believe his skill in the tree. We've had other companies in the past, but this was unreal. On the ground Julia and Paul were incredibly hard workers, happy to perform the work and so knowledgeable answering my questions. Made me want to take down every tree in my yard just to see these guys work! Then, a day later Brad (the company owner) showed up with the remote control stump grinder...our kids watched in amazement out the window. Simply fascinating! 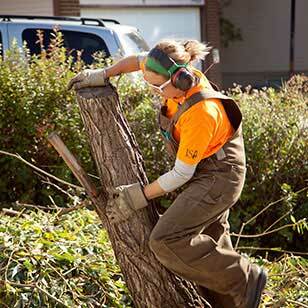 I wouldn't look further than Got Stump for all your tree needs! " "These guys did a great job and were very professional will call them again for the next damn stump, and the price was much better than digging it out and no sore back great job guys"
"We couldn't be happier with our experience yesterday with Got Stump?. We were having some dead or dying trees removed from our back yard, and in some places the work area was pretty tight. The team that came out were so professional, and really knew what they were doing. There were no mistakes - everything went entirely as planned. They also showed us what to look for in the trees we still have, so we will know if/when it may be time to have them removed. And they showed us the inner part of the wood and explained what was killing the trees they had removed, for our better understanding. We had originally planned to have 6 or 7 trees taken out, and when we added 5 more to the job, they were happy to take the extra trees out on the same visit. They cleaned up the work area as they went along, and even raked debris out of our neighbor's yard when there was a little bit of 'fallout' that landed on their side of the fence. (They asked the neighbor's permission before felling the tops of two trees into their yard.) I watched the whole operation from beginning to end, and observed how they always put safety first, never took short-cuts, and always watched where the people were around them. They also saw to it that there would be as little damage as possible to the trees and shrubs that were close to the work area. The crew were so organized and everyone knew exactly what their jobs were. They really appeared to love what they do - there was no grumbling or complaining - they were very professional. 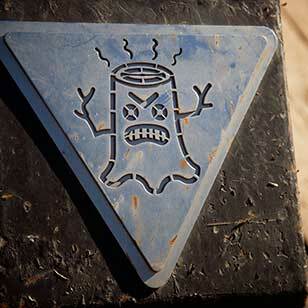 We will use Got Stump? for all of our tree removal needs, and highly recommend them to everyone! 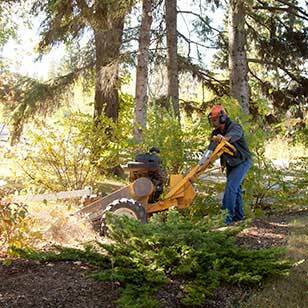 Also, aside from just chopping down a tree, they also have the equipment to completely grind out the stump and root system, essentially leaving the area completely ready for any kind of future use. Brad and his team were a pleasure to work with, and observe in action. Thank you." "I am so pleased with Brad and his crew for the great job they did with the removal of 4 very large trees in my front yard. Brad was so communicative and professional and I was 100% impressed with the competence and work ethic of his team. John and Julie were friendly, helpful and happy to be working! My yard was transformed in 4 hours!! I would not hesitate to recommend Got Stump - amazing service all around!!!" 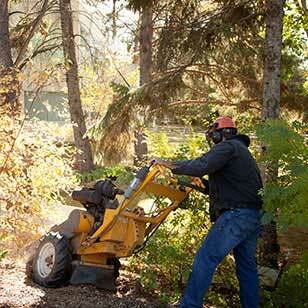 "We had a very large blue spruce removed and were thrilled with the removal. The crew did an amazing job removing the tree and removing the stump as well as all surrounding large roots. I would recommend them to anyone and their pricing is very reasonable." "The crew who came from Got Stump to take down huge trees in our yard were efficient and clearly knew what they were doing; they worked well as a team, controlled falls of large tree pieces with angled ropes. All the while, they were a pleasure to listen to; chatted happily with each other, laughter could be heard throughout their work, and few bars of singing in lovely Spanish. Neighbours commented that it was an unexpected pleasure to hear laughter from work crews in the treetops, and the yard, while work was being done." "I have used Got Stump on two different occasions to grind a total of 3 stumps, shape a large lilac tree, and remove a huge birch. Each time I received a very prompt quote that was surprisingly competitive, a team that showed up on time and worked efficiently, professionally, and extremely clean. They bucked up the tree for firewood and cleaned up the branches so well that I have yet to find so much as a stick left behind. I recommend this company highly to anyone requiring this type of service!" "Excellent experience! Did an online quote, Brad responded quickly with a price that seemed very fair. I told them to proceed and 2 days later Shawn showed up and was very professional/personable. He checked with me after the job was done to make sure I was happy. Got my bill emailed to me a few days later, the exact amount of the quote. Would not hesitate to recommend this company to anyone!" "From the estimate to the final work, these guys were thorough. We didn't have the easiest job for them (three trees wedged into a small space between an old garage and a tall fence), and unfortunately had to change some details as the removal date got closer. Got Stump was able to accommodate, and all the interactions were prompt and professional. We compared several prices for the same job and they were quite reasonable. If you're like me, you're probably just looking to get the job done, and these guys will be more than capable of that, but it's the extras that have me taking the time to do this review... from their estimate form to all of the interactions, this business has an awesome personality. I really appreciated that. Plus, the payment! They couldn't have made it any easier. I got the bill via email after the job was done and was able to pay it online! I would definitely recommend Got Stump to anyone looking for similar work." "A very professional organization. They honour the quote which was lower and verbal than the second written quote which was in writing. I had to change the work date by one week it was done without any problem. The crew showed up on time. They know their work and the trees. The placed was left in immaculate condition. They did some extras without any extra charge and very willingly. A professional crew." "We recently had three large trees trimmed in our backyard. The Got Stump crew did an outstanding job and went out of their way to make sure we were 100% satisfied. They left our yard and deck exceptionally clean. 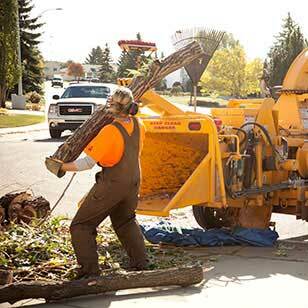 We have had these trees trimmed every few years by three or four different arborists, however, the Got Stump folks provided the best value for our money and arrived within a couple of days of contacting them." "Always the best experience with Got Stump. From Brad to Shantelle, I always know exactly what to expect. Great people, great service." "killed my elem Not happy"
"We love trees, and we cringe at the thought of cutting one down, but when it became necessary to remove four large aspens, we called Got Stump. Brad Helm gave a very reasonable quote for the job and suggested a much needed pruning of one of our chokecherry trees. Three of the aspens were in a very constricted space, so a Teupen lift (one of only three in Alberta) was used to facilitate the work. The crew (Paul, Julia, and Carol) completed the job in a careful, professional manner. Emi did an excellent pruning of our chokecherry and even suggested some books on tree care. Everyone, from Shantelle in the office to Brad and his crew, was personable and willingly answered the questions that helped us through the ordeal of tree removal. Got Stump will definitely be the first company we call for any future work with our trees. 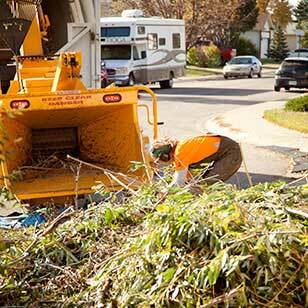 Don & Kathleen, Edmonton Alberta"
"Needed to remove two pest ridden overgrown trees growing too close to the house, too big of a job for me personally. Received 3 quotes, Got Stump was neither the most expensive nor the cheapest but Chantel was extremely friendly and professional on the phone so we went with them. Their crew showed up right on time and dispatched of the two 50 footer with ease; I have never seen grown men climb tall trees that fast before. Although their skill was not a surprise to me, I was a little surprise by how all three men were clean, courteous, and polite. As requested, they left some firewood for me, the crew took the extra time to stack all of the firewood in two neat piles. I would definitely recommend." 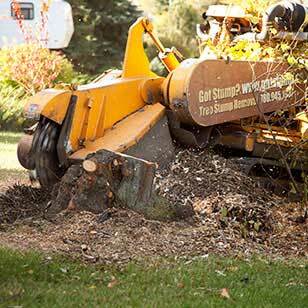 "Would definitely recommend Got Stump Inc. to others. Used their services several times on various projects, staff are very professional, experienced, and they have competitive prices!" "Three crew members came out to our home to cut down two very large trees, one in our backyard and one in our front yard. They were so pleasant and friendly. They operated like a well-oiled machine. They let us watch while they took the trees down, and it was so interesting to see! Great job. Great cleanup as well! Would recommend Got Stump to anyone in need or tree removal!" 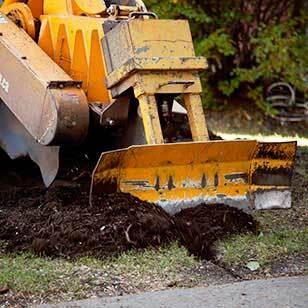 "We had an old stump and roots to be removed in our yard. Got Stump responded quickly, did a great job, and were friendly to deal with. And the price was very fair. Highly recommended!" "Fantastic service that was above and beyond! I put in a request through Homestars and Got Stump responded quickly (onsite quote within 48 hours), the crew that came to take the above ground foliage was awesome and Shawn (the stump removal guy) did a thorough job. After each crew came, they checked in with me that they got all the right things then cleaned up. Payment was easy and completed online and was an extremely fair price. I've recommended them to others with nothing but the highest accolades!" "We had an emergency during a storm. Got Stump responded quickly and did a fantastic job. They were very tidy and we were able to enjoy our yard again right away." "They did an excellent job. Polite, courteous and great work. Last week we had a massive Spruce tree to come down, they had it down and cleaned up within 2 hours. My kids were watching from the window and Carl even made them a little stump chair. Great guys, it's like they were never here. Cleaned up after themselves, didn't tear any lawn up. This week they came to grind the stump out and same thing, polite and great work. Cleaned up all the shavings and refilled the hole. Love these guys, would definitely recommend to anyone looking for an arborist." "Best experience ever! We waited over a month for a different company to remove our very large tree with several split tops, which caused damage to our neighbour's house during the last major storm. Got Stump Inc. did an estimate the same day I called, and removed the tree 2 days later. Friendly, knowledgeable, professional, safe, efficient. The quote was very reasonable, actually a bit less than the other company. Highly recommend!" "We had a fallen tree because of a storm. Called Got Stump and Brad came out to give us an estimate for tree removal and stump grinding. His crew came out the same week and removed the tree. They left neatly cut trunk pieces that I have used for seating around a fire pit. The following week his crew ground the stump into oblivion. Brad addressed the concerns we had about cleanup and we are happy with the results. I recommend Got Stump, Brad and his crew did a really good job." "We had a mountain ash tree stem come down during a very cool rainstorm. I phoned Brad at Got Stump and he was there in 20 minutes, gave me a very good quote and we had the work done the following day. I can only say this was an exceptional customer service experience. Brad was great to work with and his crew were just fantastic. They showed up, worked hard and did a great job. All of them were professional, knew their jobs and did them extremely well. I can't say enough good things about this company other than please hire them if you require their services. You will not be disappointed, its a pleasure to recommend them." "OMG! This is a gold star company all the way. They just finished stage one of two phases in our columnar Swedish Aspen and others tree and stump removal. After 20 years we decided to remove ALL of our Swedish Aspen trees because of the hundreds of annoying suckers that were popping up all over our 3/4 acre lot in Sturgeon County. We removed a total of 15 trees and shrubs. From beginning to end, this entire job was expertly handled starting with Brad who came out almost immediately to walk through our specific tasks, and give us a very fair price for the work to be done. Within two weeks and long after business hours, we were contacted by their very friendly receptionist, Chantelle, to set up the actual date for the job to be done. Two days later, we were delighted to see Julia and her two associates at our door at the exact preset time. Wow, that in itself was a surprise! A bigger surprise was when the entire job of cutting down all the designated trees, removal and grinding of all diseased branches and trunks was done, and remaining healthy trunks were cut and readied for us to haul to our log pile for future firepit gatherings. Best of all, everything was cleaned up as if no one had been here at all. Having had some major expensive work recently done inside and outside our house, we encountered many sub trades. Unfortunately not all of our experiences and interactions were positive. 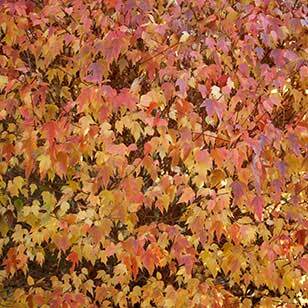 So when deciding to go forth with our landscape issues we felt a great deal of apprehension. Well let me tell you that our faith in finding high quality, reliable people to complete specific tasks as designed by individual customers was totally reinstated with Got Stump Inc. We look forward to having this company return for phase 2 of our tree removal when they will grind out the stumps. As per our personal request to give us time to drill holes and put in solutions to kill the roots so fewer suckers will survive and be sent out all over our flower beds and lawn, Got Stump Inc. readily arranged to meet these needs. Kudos to Brad and his wonderful staff for a job well done! You should be so proud of the high standards your company displays. Elaine and Albert in Sturgeon County"
"Used this company a couple weeks ago. Highly recommend them !! They did an awesome job. Very safety conscious." "Great company, friendly staff and they truly care about what they do. Great business and would highly recommend them." "Initial experience was very positive. Excellent communication and they did a good job removing the stumps for a fair price. However, now months later I receive spam email with pledge requests from Got Stump. 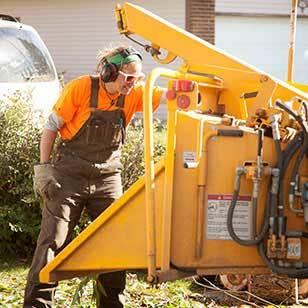 Reviewed at 3 stars for overall experience but the initial communication, quote and stump removal was 5 stars." "Just had Got Stump here to prune our gigantic apple tree. They did an amazing, efficient, clean job of it. 75 minutes and they were finished! Even took away the branches and pruning debris from our plum and raspberries that was in the yard! Definitely recommend!" "Fair price and did an awesome job! They took down 4 spruce trees in the front (approx 25 from each) and trimmed an ornamental crab. Did an amazing job at all of it. I am going to get them back to do the backyard trees now. Definitely a return customer." "From the estimate to the invoice everything was done very efficiantly. 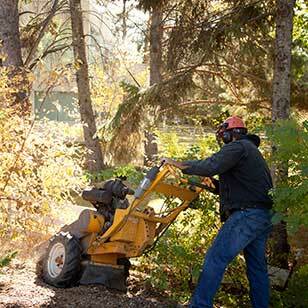 The crew turned up at 8:00 A.M sharp, new exactly which branches they were contracted to remove and got right to work. The crew even removed a couple extra dead branches without any hesitation. Great job by the crew and admin staff organizing everthing!!!" 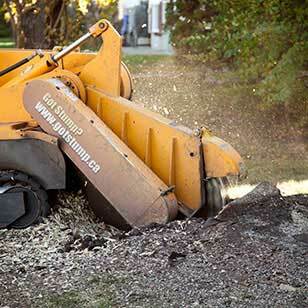 "My husband and I are extremely happy with how fast, efficient and reasonably priced Got Stump is. They were able to remove part of my fence to get at that nasty stump and with no issues put my fence back together again. 😊😊When I had questions staff were friendly courteous and professional. Thank you Got Stump for removing that eye sore from our backyard 😊"
"Had the pleasure of meeting the crew that came to cut our tree down, and they were so friendly, quick, and professional! They even took a few extra minutes to take care of a broken branch on a different tree. Unfortunately we missed the stump grinding crew but I'm sure they were just as awesome. Even got a follow up call the next day to make sure we were happy. 5/5 would recommend this company!" "Got Stump Inc. gave me a quote to trim my beautiful birch tree. Two young ladies came to do the trimming but upon discussion we realized we each had a different point of understanding on what I was wanting trimmed. The tree trimmer did as I asked and then advised the company that what I wanted was half the amount they were going to do and so she was finished in half the time. The women left the yard clean and everything moved was put back in place. The Company called me to let me know what was reported to them re the amount trimmed and without asking them to do so gave a very fair and reasonable discount. I would happily give them 10 out of 10 as a responsible company and 10 out of 10 to the two women employees who did the work. Thank you, a highly satisfied customer. "I was kept informed the entire time by both Shantelle, and the app they use. Our the trees were cut down, no damage to any of the surrounding homes. They left no mess behind either. A week or two later the dunno grinder showed up and made quick work of the remnants. Unfortunately no salvageable wood was left after they were done. We were looking forward to using it when we build our fire pit, but I'm more than happy that the work was done, and the trees are give. Very competitively priced as well!" "I needed to have two massive trees removed, and was a little worried about the work involved, from cost to the potential of pne of them coming down the wrong way. The team from Got Stump got me a quote pretty shortly and got here within a couple weeks (I was told it would be even sooner if not for the many rainy days). The team that came out did an awesome job of removing the trees and leaving the cut wood in pieces that could be used for other projects. The entire process could not be easier, and I'd definitely recommend them." 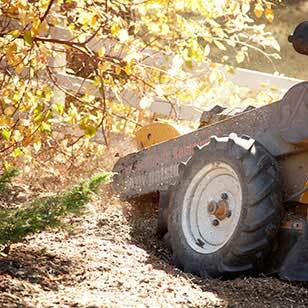 "We have used this company for tree and stump removal on several occasions. During a recent storm, a large tree in our yard fell, blocking the road. We were on vacation at the time and found out from neighbors who had been checking our home. I called Got Stump to see if they could help us urgently. Brad, the owner contacted the city on my behalf to inform them of the road blockage. He then had two crews out first thing in the morning to clear the tree and later, grind the stump. I heard from several neighbors how professional the crews were. When we arrived home the area had been completely cleared of all debris and looked great. I really appreciated the effort from Brad and his crews and highly recommend this company." "Shantelle at GotStump had us provide pictures and gave us a quote. She did a great job of keeping us informed on when to expect service and weather related delays. Brad removed the two 18" stumps, well below ground level. He cleaned up the surrounding patio and deck. We were totally satisfied with the service we received. PS: Their online quotation and invoicing system is great!" "It was a great price for two large spruce trees. Stumps were cut two days after and the process was very quick and painless. Thanks again, I was expecting the process to be tedious but it was the opposite. Thanks again." 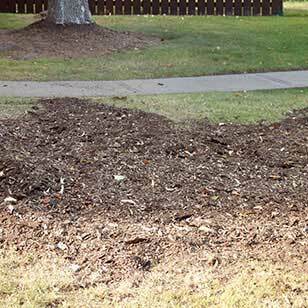 "Thanks to Terry for an awesome professional job in getting rid of our gnarly tree stump and root system. And very impressed with the cleanup job." "Wow! i couldn’t be more impressed with the service I received from Got Stump. From my first phone call asking for a quote to today when the work was completed I was blown away by their customer service. All my questions were answered and I was made to feel very comfortable to have them at my home. My yard is very small and has a lot of trees but they were able to get their (crazy weird!) machine on to my property and get my problem tree removed. They left little to no mess and I am now able to go about life not worrying that the tree is going to wreck my roof. Thank you so much! If I could give you more stars I absolutely would." 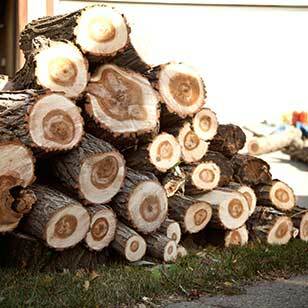 "Out of 4 tree company I called Got Stump was only one able to help me out within 25 days. They did end up completing the job on the day of my new fence install, but did completed the job as promised. The tree crew was superb, first thing after introduction was walk through of the property to ensure they had proper orders They all were open to questions and were of course much more wise than I about of what trees my trees where called! They had whole team (5 or 6) take out the all the trees and bushes, plus Tree Pruning & Care in about a hour, then ensured the work was done correctly with walk through. Then next day came the stump grinder! Very loud But cool machine! you can say it ate the stumps like the cookie monster on sesame street! compared to the machine I was thinking of renting at HomeDepo. Well think 10 amp electric weed whacker to a 52 inch riding lawn mower. SO 1 foot high 10-12 inch round stump was chewed up 1 foot below ground level in about 15mins. that was including time from the operator driving it off the trailer and to the stump! If I would have known would of had my camera in hand as when when I went inside and back out the machine was already below ground level." "It is not every day that one is fortunate to get job done exactly as one wishes it to be but hiring GOT STUMP has done exactly that! Professional, courteous, friendly, eager to please, reasonably priced and in a reasonable time - who could possibly ask for anything more? Word-of-mouth can prove to be effective advertising. Rest assured that we will be certain to convey our praise for this company every chance we get and will be calling them if ever we require their services again. I must add that their kind attitude and light-hearted sense of humour were welcome gestures and were sure to put a smile on my face. In today's busy world, that doesn't happen every day either." "Brad and his team do a great job, at a very affordable price. I have used Got Stump on 4 difference occasions and they always do a fantastic job." "Awesome company to deal with! They kept me informed on each stage of the process! We had 2 HUGE spruce trees removed (one of which was touching our house in the back yard) and 3 mountain ash/crabapple trees removed. The large spruce in the back was dropped so expertly, it was as though he had a magic wand guiding it! We also had all of the stumps ground down which we could have not done ourselves. We received numerous quotes for the job and Got Stump was the best value and could also get started the soonest. Cleanup was awesome and he even put our exterior cable/phone lines back for us, good as new. 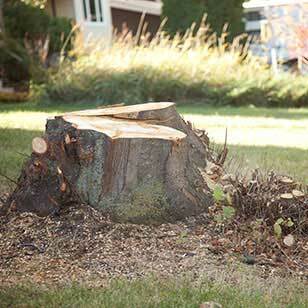 I would definitely recommend Got Stump for tree and stump removal in Edmonton!" 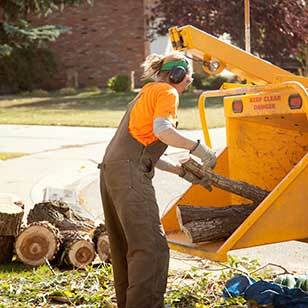 "Awesome tree service, great customer service and very knowledgeable. Our tree was cut down on Tuesday and the stump grinder was out within 2 days. They cleaned up the mess from the tree and you’d never know we had a tree there! Thanks to the team at GotStump. We’ll definitely be returning customers!"